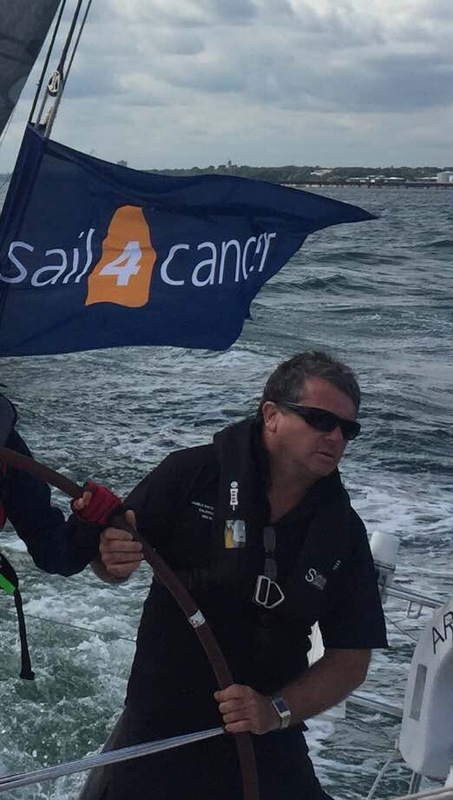 “This year in conjunction with Sailing Logic, I am taking on the challenge of The Rolex Fastnet campaign, a series of qualifying races culminating in the actual Fastnet Race, one of the most demanding offshore races. This is a 608 mile endurance race from Cowes, Isle of Wight to the Fastnet Light House at the southern tip of Ireland and back to Plymouth. It’s a real test for skippers and crews with its tricky tidal currents and changeable weather conditions. The race attracts entrants from all around the globe with a diverse entry ranging from the fastest grand prix race yachts to small cruiser racer family boats. Quite a challenge I’m sure you will agree, but nothing like the challenge that people face when they are told that and they have Cancer and the impact that it has not just on them but their family and friends. I am hoping (with your help!) to raise funds for Sail 4 Cancer, a charity that provides respite not only for those diagnosed with cancer but also for their families. Please support Bob and give him your words of encouragement using the form below. This is such a great cause!! So proud of you.